I am trying to download all submitted files in the card version but it seems I have to do one by one? No 'Download All Files' in this version? If this is the way it works it is a pity we were not informed... I have over 1,000 files to download!!! And will have 10 times this amount by the end of the month. Could you please correct asap? Thanks. The issue is not related to the Cards Layout. The Download All Uploads button is not showing because you are using a Widget (Drag and Drop Upload) for uploading the files. 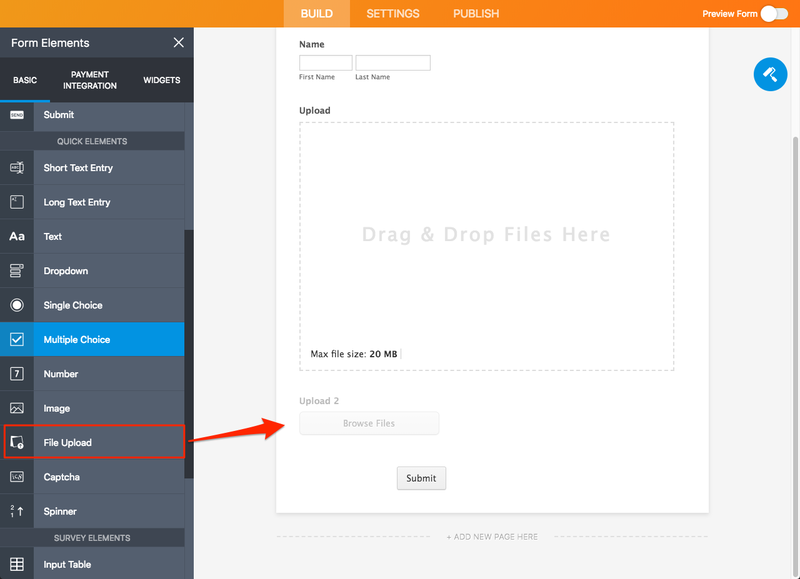 To show that button on the submissions page, please add a File Upload element to your form. You can set it to Hidden. You can also export all of your form's data at once. original file name instead of at the beginning? Since your other concerns are not related to the original, I have created separate threads for each concern and will reply there shortly.